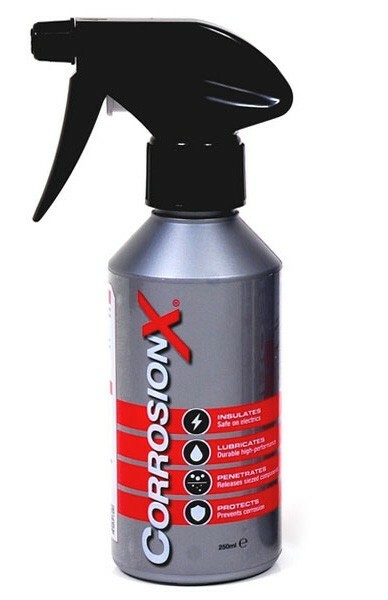 CorrosionX is an amazing product, outperforming all PTFE and ‘household brand’ products. Lubricate – great around the house for bicycle chains, door locks, fishing reels, skateboars wheels, anything! This is a popular product for remote control vehicles, as it protects the speed controllers from moisture – whether that’s an RC car driving through puddles, or am RC plane or helicopter getting altitude moisture or simply flying in the rain. If all you have used at home or in your workshop until now is regular houshold (well known…) brands, then you will be amazed at CorrosionX. The volatile organic content (usually abbreviated as VOC or VOCs) of CorrosionX is only 4-7%. That’s less than 1/10th what is in our competitors’ products (for example, WD-40 is 76% solvent). That means CorrosionX is many times more gentle on you, your equipment and the environment. In addition, CorrosionX is nontoxic, non-carcinogenic, and it’s nonflammable when not in aerosol form (our environmentally-friendly propellant is flammable however).